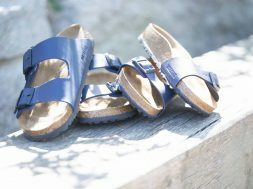 What is Roemer Glass? 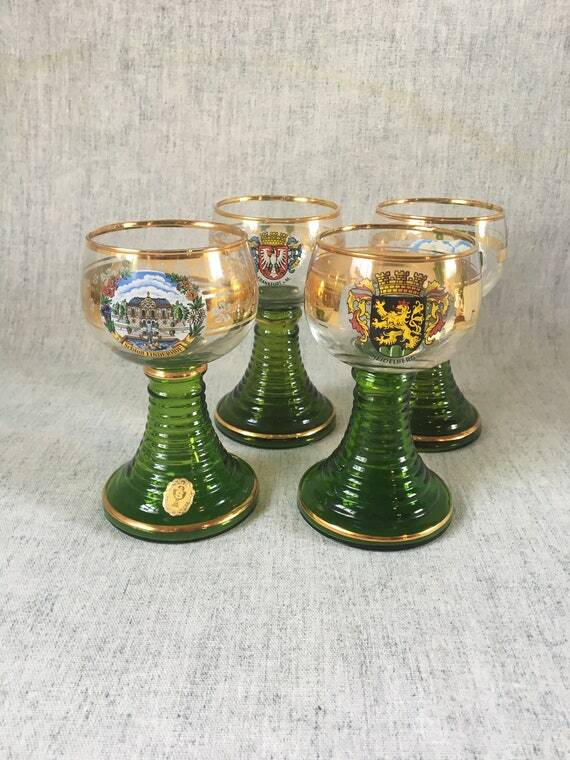 These traditional German Wine Glasses with a green stem are all over Germany, where they are used to serve sweet wines from the Rhine or Moselle Region. We had a set in our home while I was growing up… and my family in Germany has them. 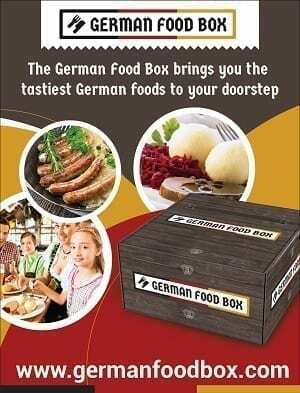 In fact, I’d be willing to bet that most German families have a set in the Shrank. 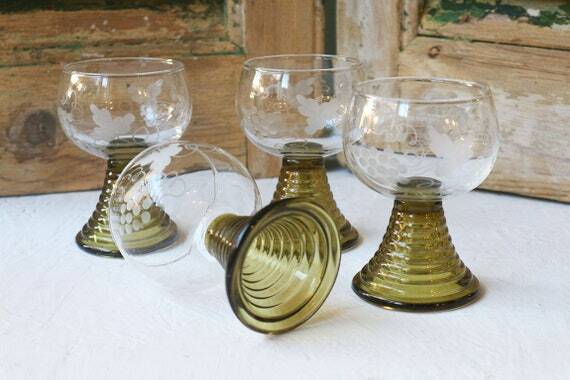 Romer Gass is a wine glass with a green stem that looks coiled, topped by a clear bowl. 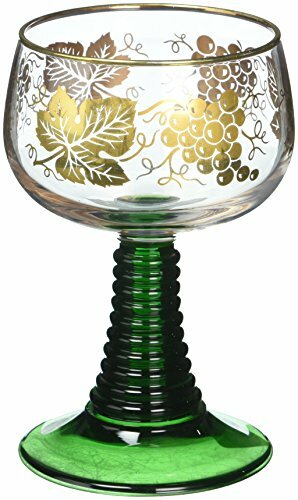 Often the bowl is etched with vines or grapes, and sometimes the glass rim is gold.They are called Römer as a tribute to the Romans, who brought the wine grapes to Germany in the 4th century. The green stem comes from the potash and sand from the forest, called “forest glass”. 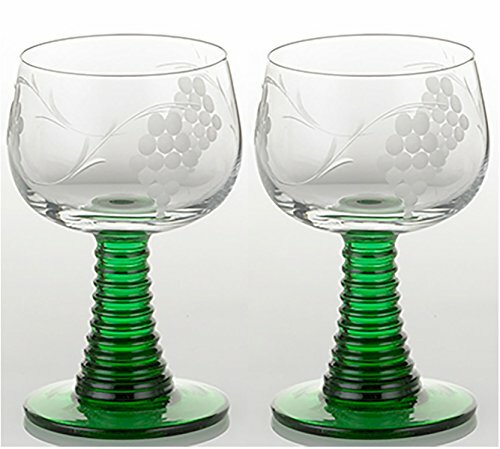 Originally, the entire thing was made green, but wine lovers felt that the green interfered with the color of the wine… so the glasses are now made with a green stem and clear bowls. 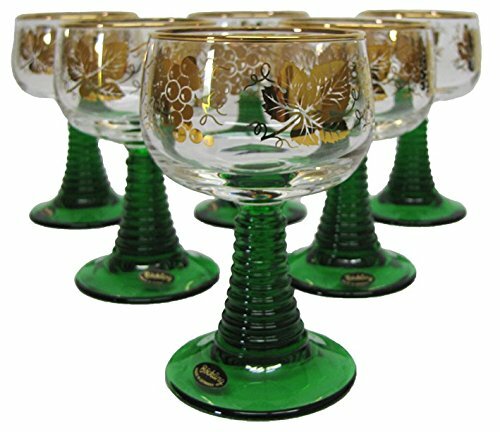 Often today, they are enhanced by engraving on the bowl, painted vines, or even a gold rim. 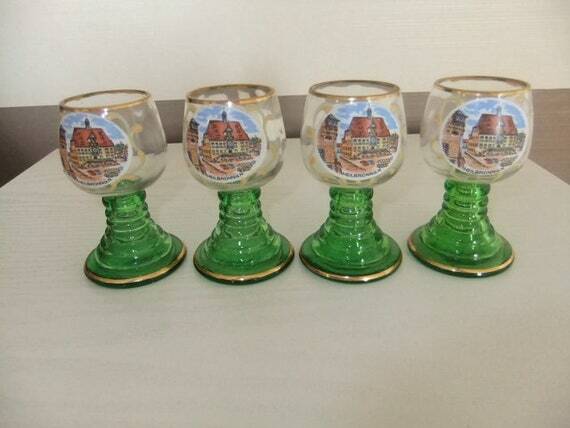 Most German households have a set of these glasses…. 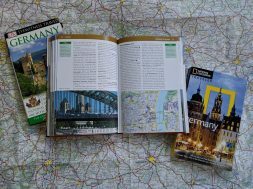 Now you can have them too….maybe as a sign of your heritage, or as a reminder of a wonderful visit in Germany. 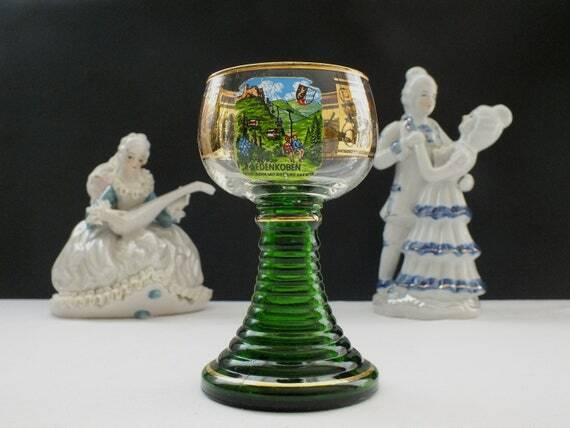 What Makes the Green Stemmed German Wine Glasses Green? Why are the Stems Bumpy? 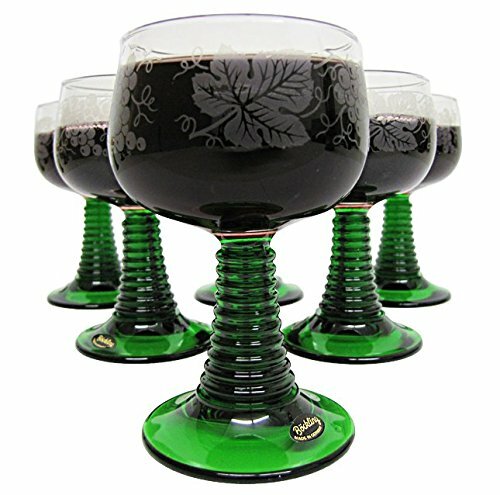 When Römer Glass were first made, in the 4th Century, the whole glass was green. The Green color came from the combination of forest potash and sand. Different regions produced different types of sand… and this sand made green glass. 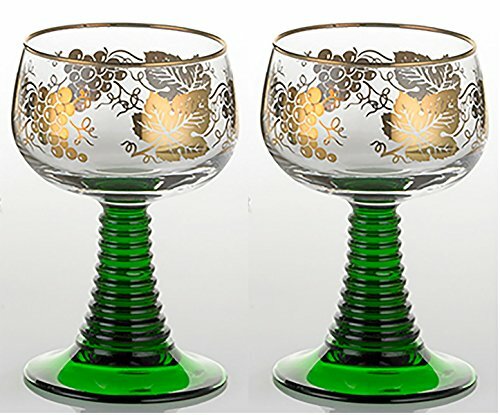 More recently, wine connoisseurs decided that the green color in the bowl of the glass interfered with the enjoyment of the wine, so the bowls of the glasses were made clear. The Green Stem was left… it is thought to enhance the color of the wine. 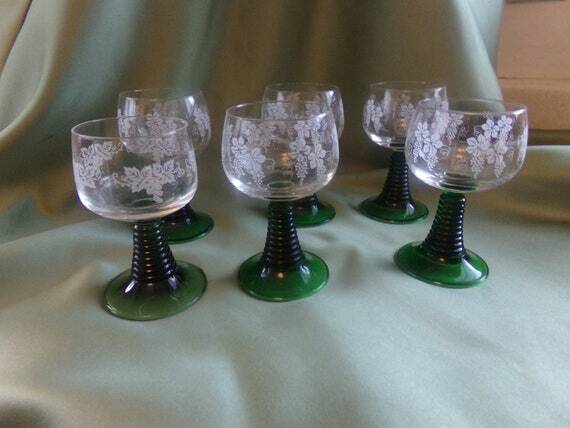 The Stems were originally made by coiling the glass over a form. This made a hollow stem that stayed bumpy or layered. 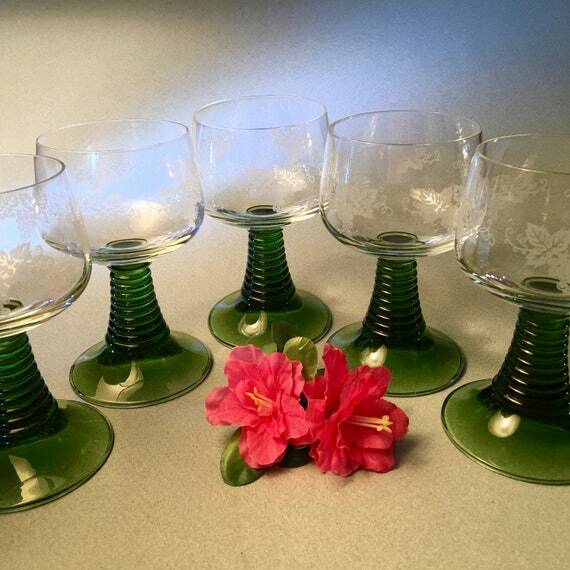 Today, tradition continues and many people still have theses glasses in their homes. 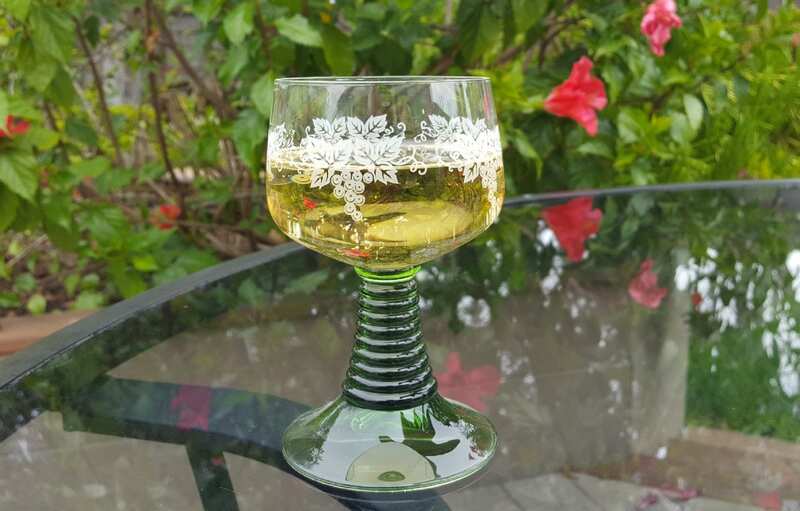 You can find Roemer Glasses on Etsy, Amazon and Ebay…. I’ve found a few here. next Berg Pedal Go Karts - German Pedal Cars for ALL Ages!